doctor yourself? – Hello Korea ! 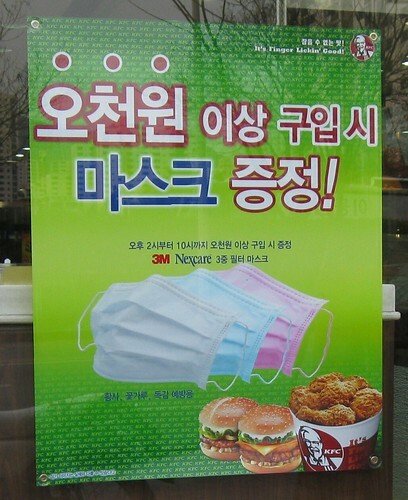 breathe easy w/ KFC, originally uploaded by Almost-Human. ← or doctor your chicken? So Kelly, just put aside the veggie discipline one day, and then you can get your mask for free!